In 2014, KRAA, U.S. Fish and Wildlife Service, ADF&G, and the Sun’aq Tribe of Kodiak developed a strategic plan for a voluntary, water temperature monitoring network. The monitoring sites, both water and air, are specific to sockeye salmon habitat. Following the development of the strategic plan, each network cooperator installed temperature loggers at the sites they would be responsible for monitoring. 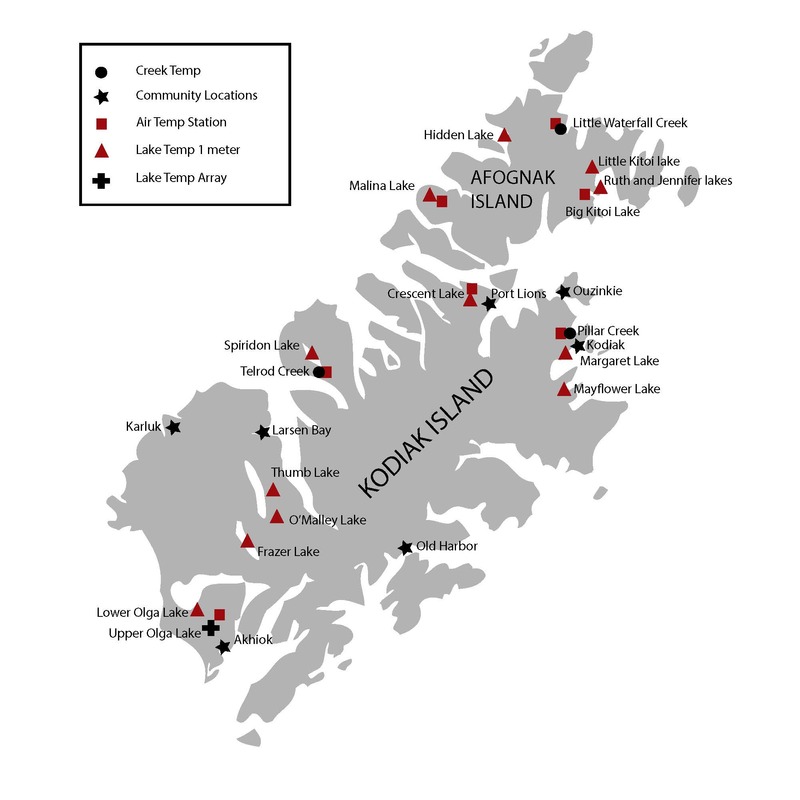 The temperature data is recorded on a year round basis at 27 stream sites and 25 lake sites. KRAA is responsible for monitoring the sites noted on the map. Funding for this project is provided by the Western Alaska Landscape Conservation Cooperative.